The Best way to start your new career as a kiteboarding Instructor is to take professional lessons from an IKO certified Kiteboarding Instructor. 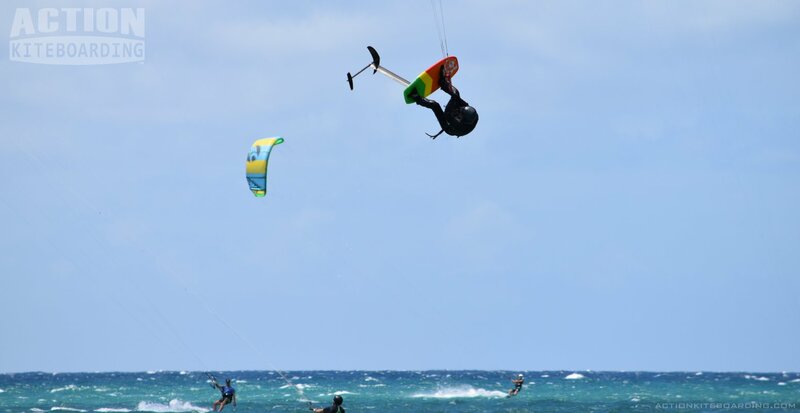 Being properly trained as an IKO kiteboarder will ensure that you are using the correct technique and following the safest methods. 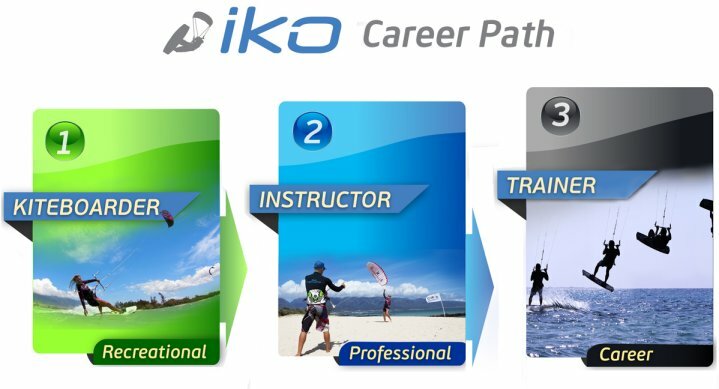 Your IKO instructor will certify you in all of the stages, give you an IKO Kiteboarder Certification Card, and register you in the IKO kiteboarder database. There are IKO schools and Instructors worldwide. If you did not learn with an IKO instructor, you can still do a “Kiteboarder Skills Assessment Test” with any IKO certified Instructor, to check your riding ability, and safety knowledge, and theory level. Your IKO instructor can fill in any gaps in your knowledge and ensure that you are prepared to go forward in the training. After you have successfully completed your kiteboarder training, and have consolidated your experience by riding at Level 3N for at least 6 months. You are then eligible to attend the IKO Assistant Instructor Course. Check the calendar for a course near you or tell your local provider you are interested in a course, so that they can group candidates together and start a course (AITC courses usually have a minimum of 3 candidates to run a course). Register to join one of our ITC Instructor Training Courses. Kiteboarding Instruction training gives you a certification that is recognized worldwide, and give you many career opportunities. Certified Kiteboarding Instructors are in High Demand, and can work in many of the world’s best destinations. The IKO instructor training Courses include the; AITC, ITC, Level2, and Level2 Senior, and various Coaching Courses. Senior Instructors who have gained experience with teaching and logged their teaching hours can move onto the third step, to become a trainer. A kiteboarding trainer is responsible for training the next generation of kiteboarding Instructors. This is a very important responsibility as the training will affect the safety of all of the trainees, and their students as well. Dedicated and qualified instructors can apply to begin the trainer training, and must first be selected by the training committee, based on individual merit, experience and qualifications. The trainer training path includes the; Coach trainer, Assistant Examiner, Examiner, and Training Master levels.